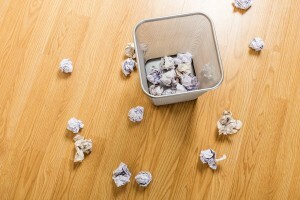 Are Cover Letters Worth the Paper They Are Written On? Although many employers still ask applicants for cover letters, studies show that employers are paying them much less attention than they used to. It seems that they don’t add as much value to the hiring process as in previous years. For example, a 2009 study of 2,000 hiring managers by reCareered found that 90 percent of them ignored cover letters and 97 percent of them made their selection decision based purely on the resume. Is there any hope left for cover letter? Is there any point asking applicants for one? While there is no doubt that cover letters have suffered a decline in importance as a selection tool, they can, if used correctly, still add value to the short-listing process. And below I have set out five value-adding aspects of using a cover letter as screening tool. A resume does not really reflect the amount of time they have spent making this specific application. It could have been little more than attaching a file and pressing send. By looking at a cover letter, you can usually tell if it’s a stock letter or whether they have taken time to construct a tailored document. Thus a cover letter can help you discriminate between spammers and more committed applicants. Cover letters are more free flowing than resumes and there is a greater emphasis on grammar and syntax, which means you can get a much better handle on someone’s ability to write effective business communications, than you can from a resume. Also, cover letter writing is not just a technical exercise; it’s also about building a persuasive argument and business case, selling themselves and showing they are right for the job. Therefore, done well, a cover letter can showcase a candidate’s ability to write a sales introduction letter or to influence others with the written word. Well-constructed cover letters will not be generic; rather the applicant will have identified the mission critical skills for the role and highlighted their skills in this area. They will also make references to pertinent aspects of your company or personalities or contacts. Heavily contextualized cover letters can show that the candidate has researched and analyzed your business and role and is a highly engaged applicant. Well-written cover letters will address any specific red flags in their resume and will highlight any value-adding qualities in their CV, which makes them an especially strong applicant. Cover letters that do this reveal applicants who have a strong awareness of your business priorities and key concerns. It’s hard to ascertain this from a resume. 5. It shows whether or not they can they follow instructions. Candidates who fail to include a cover letter, when it is requested, show an immediate lack of attention to detail and inability to follow instructions. Another way to see if they can follow instructions is to make a specific request in the job advert as to how the cover letter should be presented, e.g. must address three skill areas. Candidates who fail to deliver a correctly formatted letter have shown a lack of attention to detail and/or failure to follow instructions. I’d love to hear about any other ways that you think cover letters add value to the application process.